3D printing is reshaping several industries by providing an effective tool for prototyping and end production in a wide range of materials. The waves of transformations have splashed the architecture industry as well. It has helped the AEC industry to 3D print office buildings and apartments with contour crating technology. The time is not far when 3D printing will disrupt conventional methods of construction completely. In fact, architecture firms have already started using 3D printing technology in their workflow to expedite design iterations, and enhance presentation detail. 3D printing helps in simulating the complex features of modern architecture designs and to transform them into visual models before construction is taken. Though 3D printing for architecture on a large scale is not yet applicable, the possibilities are brighter. 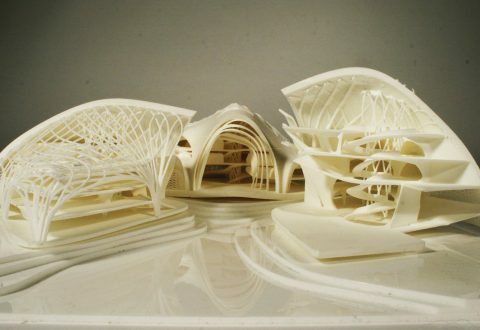 Architecture firm will be able to present their design models in much refined form using 3D printing services. In fact, a link between architectural design model and 3D printing cannot be denied. It’s a custom in any engineering and manufacturing field to have a model of the design to check the flaws and functionality before production. Similarly, architecture field too needs a model that they can see, feel, and present it to their clients. By having a visual model to study, they can amend the design much before the construction. This is where 3D printing comes handy. 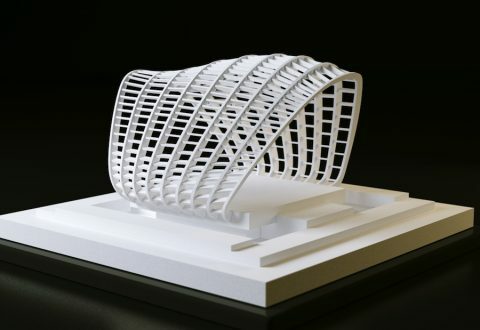 Just like it can print a model of any design in 3D, the same way it can produce a visual architectural design model with required 3D printing materials. Until now, cardboard and wooden items were used to make architecture models in two dimensions. There was no way to present these models in 3D to clients, except displaying it on a computer screen. Explaining the design concept to clients was difficult. With a 3D printer, it is easy to display the model in three dimensions, showcase intricate features, and win the bids. Since developers prefer to see small scale architecture model of buildings, 3D printing helps in creating tangible scale models. A scaled-down 3D model is easier, faster, and more detailed than the cardboard and wooden types to create. So whether there is a need of an engineering model or an architecture model, 3D printing can help in producing them in different sizes, and amend designs as required. Every engineering design before it’s finalized has to go through several iteration processes. Same is with architecture design. Making changes during the design phase wasn’t possible and easy with the traditional methods. 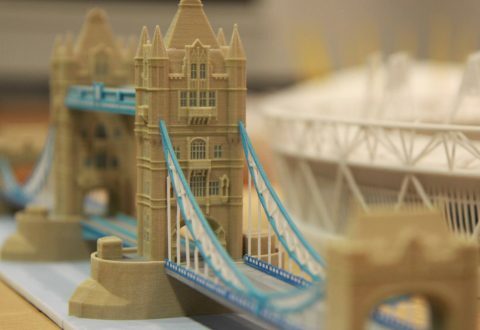 With an advanced 3D printer, it is possible to create a prototype or an architecture visual model with high-quality print resolution. Any desktop printer based on FDM 3D printing technology is suitable for printing architecture models. If you want to get the best 3D printed scalable architecture models, contact 3D Spectra Tech, Pune. We are leading 3D printing service provider in India and one of the best CAD outsourcing company. In case you want to purchase a 3D printer, we will offer you the best 3D printer price in India as well.